Take a look at the big short “The Big Short”. In the film you can see how Michael Burry, played by Christian Bale, predicted the 2007 financial crisis thanks to all data he collected about housing and mortgage loans in the US. You might be wondering why I’m even mentioning this if what you are really interested in is knowing how you can use data to improve the ROI of your digital publication. Well, the bottom line is: “Data equals Power”, but for that data to be useful there are a few things you need to consider first. Obviously, the first thing you need when creating your digital magazine is a publishing platform that offers accurate and high-quality data reports. We know how important this is, and that’s why 3D Issue allows its customers to connect their Google Analytics account with their digital magazines. Although other data service providers can be the good, none of them are able to recognize spam traffic as well as Google does. Not for nothing is Google the most trusted and used data analysis tool out there. When you track users behavior while reading your digital magazine you get data on page views, clicks, video views, most popular pages, the time the readers spent viewing your magazine etc. 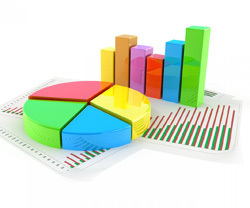 This is what we call “basic data” as it’s what you’ll work on to create your more detailed data reports. Now let’s see how you can learn from it and use it for your own benefit. One of the biggest benefits of integrating Google Analytics with your digital magazine is that it allows you to create sales funnels. We understand “Sales funnel” as the journey the customer follows from the very beginning when they arrive to your website to the end when they download, subscribe or buy your product. You may think that you’ve created the perfect digital magazine, and technically it might be, but unfortunately that doesn’t mean your reader feels the same way. In this case, when we talk about bounce rate we are talking about the percentage of your readers that open just one page of your digital magazine and leave. If you have high bounce rate, use the data you’ve collected to decide which content is the one that is engaging your readers the most, and which one is failing to do so. Knowing this will help you improve future issues and publications and improve your customers’ satisfaction. By using analytics not only are you getting useful insights into which part of your communication needs improvement, but you are also creating a base of visitors that you can retarget through paid ads. You already have the data that shows which group of people has opened your digital magazine and left at a certain point without making a purchase, on your Analytics account. Now it’s just a matter of setting up a remarketing campaign that will feature the appropriate content to the right people and start seeing results. Are you tracking magazine analytics right now? What are the biggest issues you’re facing? If you want to know more about how you can use analytics for your digital publications send us an email to info@3dissue.com.